Alex Ferguson has twenty-seven Manager of the Month awards and was the inaugural recipient. The Premier League Manager of the Month is an association football award that recognises the best adjudged Premier League manager each month of the season. The winner is chosen by a combination of an online public vote, which contributes to 10% of the final tally, and a panel of experts. 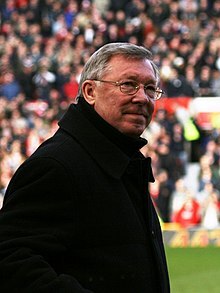 It has been called the Carling Premiership Manager of the Month (1993–2001) and the Barclaycard Premiership Manager of the Month (2001–2004); it is currently known as the Barclays Manager of the Month. The Premier League was formed in 1992, when the members of the First Division resigned from the Football League. These clubs set up a new commercially independent league that negotiated its own broadcast and sponsorship agreements. The Premier League introduced new Manager of the Month and Manager of the Season awards for the 1993–94 season, supplementing the existing Football Writers' Association and Professional Footballers' Association Player of the Year awards. The first Manager of the Month was awarded to Manchester United manager Alex Ferguson for his achievements in August 1993. For the 1994–95 season, the Premier League introduced the Player of the Month award, which is presented alongside the Manager of the Month award. Ferguson has been Manager of the Month the most times with a record twenty-seven awards. Harry Redknapp has had six spells managing Premier League clubs (West Ham United, Portsmouth, Southampton, Portsmouth again, Tottenham Hotspur and Queens Park Rangers), winning a Manager of the Month award in five of those spells. 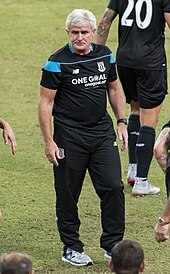 Eleven other managers have won an award with two or more clubs: Gordon Strachan with Coventry City and Southampton, Stuart Pearce with Nottingham Forest and Manchester City, Martin O'Neill with Leicester City, Aston Villa and Sunderland, Roy Hodgson with Blackburn Rovers and Fulham, Rafael Benítez with Liverpool, Chelsea and Newcastle United, Brendan Rodgers with Swansea City and Liverpool, Alan Pardew with West Ham United and Newcastle United, Sam Allardyce with Bolton Wanderers and West Ham United, Tony Pulis with Crystal Palace and West Bromwich Albion, Mauricio Pochettino with Southampton and Tottenham Hotspur, and Claudio Ranieri with Chelsea and Leicester City. Fourteen managers have won awards in consecutive months: Joe Kinnear, Kevin Keegan, Roy Evans, Alex Ferguson, Arsène Wenger, David O'Leary, Stuart Pearce, Paul Jewell, Rafael Benítez, Carlo Ancelotti, Manuel Pellegrini, Claudio Ranieri, Antonio Conte and Pep Guardiola. Guardiola is the only manager in Premier League history to have won the award in four successive months. The award has been shared on one occasion, in March 2002, when Liverpool manager Gérard Houllier was jointly awarded Manager of the Month with caretaker manager Phil Thompson, who had deputised while Houllier was absent for medical reasons. As of March 2019, the most recent recipient of the award is Liverpool manager Jürgen Klopp. Managers marked shared the award with another manager. Roy Evans was the first Liverpool manager to become Manager of the Month, winning two consecutive awards in December 1995 and January 1996. Avram Grant is the only Israeli to become Manager of Month. 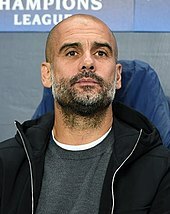 Pep Guardiola holds the record for the most consecutive awards – four, from September to December 2017. Gérard Houllier won three awards, of which one was shared with Phil Thompson. In October 2007, Mark Hughes became the fourth Blackburn Rovers manager to win Manager of Month. 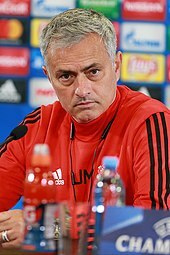 José Mourinho has won the award three times. David Moyes has ten Manager of Month awards, the third most. Stuart Pearce is a three-time Manager of the Month and a former Player of the Month. 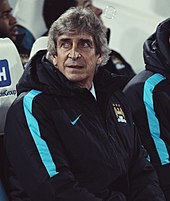 Manuel Pellegrini is the first Manchester City manager to win four Manager of the Month awards. Claudio Ranieri has won five awards. Bryan Robson was Manager of the Month in March 1997. Arsène Wenger has fifteen Manager of Month awards, second only to Ferguson. ^ a b c d e f g Liverpool manager Gérard Houllier became ill during the 2001–02 season, and Phil Thompson became caretaker manager. Houllier returned to his management job in March and he was jointly award Manager of the Month with Thompson. In the tables they are counted as two separate recipients. "Premier League Awards". Premier League. Retrieved 12 April 2019. Individual seasons accessed via drop-down list. ^ a b "How the Premier League's monthly awards work". Premier League. 2 September 2016. Retrieved 23 September 2018. ^ "History". Premier League. Retrieved 13 September 2018. ^ Nelson, Alex (10 August 2017). "The Premier League's first weekend in 1992 shows how much has changed". i. London. Retrieved 13 September 2018. ^ a b c d e f g h i "Carling Premiership Manager of the Month 1993/94". Premier League. Archived from the original on 9 December 2006. ^ a b c d "Liverpool duo bag award". BBC Sport. 5 April 2002. Retrieved 3 October 2009. ^ "Managers: All seasons". Premier League. Retrieved 13 April 2019. For Phil Thompson nationality: "Phil Thompson". England Football Online. Chris Goodwin, Glen Isherwood & Peter Young. 23 July 2016. Retrieved 8 September 2018. ^ "Sporting Digest: Football". The Independent. London. 8 April 1994. Retrieved 14 September 2018. ^ a b c d e f g h "Carling Premiership Manager of the Month 1994/95". Premier League. Archived from the original on 11 December 2006. ^ "Sporting Digest: Football". The Independent. London. 1 October 1994. Retrieved 14 September 2018. ^ a b c d e f g "Carling Premiership Manager of the Month 1995/96". Premier League. Archived from the original on 10 December 2006. ^ "Football". The Independent. London. 14 October 1995. Retrieved 14 September 2018. ^ Brenkley, Stephen (6 May 1996). "Saints only just stay alive". The Independent. London. Retrieved 14 September 2018. ^ a b c d e "Carling Premiership Manager of the Month 1996/97". Premier League. Archived from the original on 11 December 2006. ^ Culley, Jon (30 September 1996). "Kinnear's reformed characters". The Independent. London. Retrieved 14 September 2018. ^ Brown, Geoff (3 November 1996). "Woods to the rescue". The Independent. London. Retrieved 14 September 2018. ^ Culley, Jon (13 January 1997). "Parkes supplies glimpse of Rovers' future". The Independent. London. Retrieved 14 September 2018. ^ Haylett, Trevor (27 March 1997). "Football: Appeal failure dismays Middlesbrough". The Independent. London. Retrieved 14 September 2018. ^ Hodgson, Guy (13 September 1997). "Elite aim for a happy return". The Independent. London. Retrieved 14 September 2018. ^ Culley, Jon (7 October 1997). "Football: Leicester beaten by Baiano". The Independent. London. Retrieved 14 September 2018. ^ a b c d "Carling Premiership Manager of the Month 1997/98". Premier League. Archived from the original on 9 December 2006. ^ Shaw, Phil (6 December 1997). "Football: France the target for goal-hunters Fowler and Cole". The Independent. London. Retrieved 14 September 2018. ^ Hodgson, Guy (7 February 1998). "Football: Bolton add to solemnity of occasion at Old Trafford". The Independent. London. Retrieved 14 September 2018. ^ Shaw, Phil (11 April 1998). "Football: Fate and fixtures conspire for Cup dry run". The Independent. London. Retrieved 14 September 2018. ^ Hatherall, Chris (12 September 1998). "Wanchope and Baiano the party poopers". The Guardian. London. Retrieved 13 September 2018. ^ a b c "Carling Premiership Manager of the Month 1998/99". Premier League. Archived from the original on 29 March 2007. ^ Ridley, Ian (21 November 1998). "Zola calms Chelsea's fevered brow". The Guardian. London. Retrieved 13 September 2018. ^ Collins, Roy (5 February 1999). "Kidd's silent runnings". The Guardian. London. Retrieved 13 September 2018. ^ "Football: Weekend guide to the Premiership". The Independent. London. 6 February 1999. Retrieved 14 September 2018. ^ "Ron: vintage, Kinnear: comfortable and Gregory: thwarted". The Guardian. London. 4 March 1999. Retrieved 13 September 2018. ^ Townsend, Nick (2 May 1999). "Football: Beckham leads treble makers". The Independent. London. Retrieved 13 September 2018. ^ "Advice rejected, Bid unaffected and Teams selected". The Guardian. London. 10 September 1999. Retrieved 13 September 2018. ^ Drury, Peter (21 November 1999). "Flo the leveller leaves Everton stunned". The Independent. London. Retrieved 14 September 2018. ^ "Froggatt in, Jocky out, and Stanley all over the place". The Guardian. London. 4 November 1999. Retrieved 13 September 2018. ^ "Awards for O'Neill and Hyypia". BBC News. 3 December 1999. Retrieved 13 September 2018. ^ Thorpe, Martin (8 January 2000). "Vialli is sued for 'terrorist' slur". The Guardian. London. Retrieved 13 September 2018. ^ "What's Going On, I Want You and Trouble Man". The Guardian. London. 1 February 2000. Retrieved 13 September 2018. ^ Brodkin, Jon (11 March 2000). "Redknapp cheers 'panto villain' Di Canio". The Guardian. London. Retrieved 13 September 2018. ^ "Ferguson and Yorke scoop awards". BBC News. 7 April 2000. Retrieved 13 September 2018. ^ "Carling Premiership Manager of the Month 1999/2000". Premier League. Archived from the original on 11 December 2006. ^ "Magpies boss Robson wins award". BBC Sport. 7 September 2000. Retrieved 13 September 2018. ^ "Capitals, Ports, and Seaside resorts". The Guardian. London. 12 October 2000. Retrieved 13 September 2018. ^ "Sheringham wins monthly award". BBC Sport. 10 November 2000. Retrieved 13 September 2018. ^ "Burley wins monthly award". BBC Sport. 1 December 2000. Retrieved 13 September 2018. ^ "Unionists, Welshmen, and Celts". The Guardian. London. 12 January 2001. Retrieved 13 September 2018. ^ Barnes, Stuart (11 February 2001). "Ugo and upset him so..." The Guardian. London. Retrieved 13 September 2018. ^ "Evergreen Pearce named top dog". BBC Sport. 2 March 2001. Retrieved 13 September 2018. ^ "Television, Terms and Tragedy". The Guardian. London. 12 April 2001. Retrieved 14 September 2018. ^ "McAllister and O'Leary grab honours". BBC Sport. 4 May 2001. Retrieved 13 September 2018. ^ Davies, Christopher; Wallace, Sam (7 September 2001). "Wenger deal is grounded". The Daily Telegraph. London. Retrieved 13 September 2018. ^ "Veron wins player award". BBC Sport. 12 October 2001. Retrieved 13 September 2018. ^ "Taylor, Gardener, and Labourer". The Guardian. London. 12 November 2001. Retrieved 13 September 2018. ^ "Barclaycard Premiership Manager of the Month 2001/02". Premier League. Archived from the original on 9 December 2006. ^ "Strachan scoops award". BBC Sport. 8 February 2002. Retrieved 13 September 2018. ^ "Robson named manager of month". The Guardian. London. 8 March 2002. Retrieved 13 September 2018. ^ "Arsenal duo win awards". BBC Sport. 10 May 2002. Retrieved 13 September 2018. ^ "Hoddle wins manager award". BBC Sport. 10 September 2002. Retrieved 3 October 2009. ^ "Arsenal duo bag awards". BBC Sport. 4 October 2002. Retrieved 13 September 2018. ^ "Moyes named top boss". BBC Sport. 5 December 2002. Retrieved 13 September 2018. ^ "Strachan is December's man". BBC Sport. 9 January 2003. Retrieved 13 September 2018. ^ "Robson named top boss". BBC Sport. 7 February 2003. Retrieved 13 September 2018. ^ "Curbishley is top boss". BBC Sport. 28 February 2003. Retrieved 13 September 2018. ^ "Roeder is top boss". BBC Sport. 4 April 2003. Retrieved 13 September 2018. ^ "Man Utd pair scoop awards". BBC Sport. 2 May 2003. Retrieved 13 September 2018. ^ a b "Barclaycard Premiership Manager of the Month 2003/04". Premier League. Archived from the original on 11 December 2006. ^ "Chelsea duo win awards". BBC Sport. 17 October 2003. Retrieved 13 September 2018. ^ "Newcastle duo scoop awards". BBC Sport. 7 November 2003. Retrieved 13 September 2018. ^ Nixon, Alan (9 December 2003). "Davies set to buy Bolton after £14m investment". The Independent. London. Retrieved 13 September 2018. ^ "Allardyce and Henry win awards". BBC Sport. 6 February 2004. Retrieved 13 September 2018. ^ "Arsenal scoop awards double". BBC Sport. 12 March 2004. Retrieved 13 September 2018. ^ "Ranieri nets manager award". BBC Sport. 2 April 2004. Retrieved 13 September 2018. ^ Ingle, Sean; Turner, Georgina (7 May 2004). "Deals, and Denials". The Guardian. London. Retrieved 13 September 2018. ^ "Arsenal claim double award". BBC Sport. 10 September 2004. Retrieved 13 September 2018. ^ "Moyes wins manager of the month". BBC Sport. 15 October 2004. Retrieved 13 September 2018. ^ "Redknapp is manager of the month". BBC Sport. 5 November 2004. Retrieved 13 September 2018. ^ Tongue, Steve (5 December 2004). "Drogba's day – and even Kezman chips in". The Independent. London. Retrieved 13 September 2018. ^ "Jol is named December's top boss". BBC Sport. 14 January 2005. Retrieved 3 October 2009. ^ "Chelsea handed Premiership awards". BBC Sport. 15 February 2005. Retrieved 13 September 2018. ^ "Man Utd pair claim double award". BBC Sport. 4 March 2005. Retrieved 13 September 2018. ^ "Redknapp picks up manager award". BBC Sport. 8 April 2005. Retrieved 13 September 2018. ^ "Pearce lands City manager award". BBC Sport. 6 May 2005. Retrieved 13 September 2018. ^ "Pearce named manager of the month". BBC Sport. 9 September 2005. Retrieved 13 September 2018. ^ "Jewell named manager of the month". BBC Sport. 14 October 2005. Retrieved 13 September 2018. ^ "Jewell wins manager award again". BBC Sport. 11 November 2005. Retrieved 13 September 2018. ^ "Benitez wins monthly manager gong". BBC Sport. 9 December 2005. Retrieved 3 October 2009. ^ "Benitez picks up managerial award". BBC Sport. 13 January 2006. Retrieved 3 October 2009. ^ "Moyes wins monthly award". The Daily Telegraph. London. 10 February 2006. Retrieved 13 September 2018. ^ "Pardew named manager of the month". BBC Sport. 10 March 2006. Retrieved 13 September 2018. ^ "Man Utd claim March award double". BBC Sport. 7 April 2006. Retrieved 13 September 2018. ^ "Coppell is manager of the month". BBC Sport. 13 October 2006. Retrieved 3 October 2009. ^ "Ferguson and Scholes scoop awards". BBC Sport. 10 November 2006. Retrieved 13 September 2018. ^ "Coppell wins manager of the month". BBC Sport. 8 December 2006. Retrieved 3 October 2009. ^ "Allardyce is manager of the month". BBC Sport. 11 January 2007. Retrieved 3 October 2009. ^ "Blues claim double award". Metro. London. 13 April 2007. Retrieved 13 September 2018. ^ "O'Neill scoops managerial honour". BBC Sport. 4 May 2007. Retrieved 3 October 2009. ^ "Manchester City do the double". Premier League. 19 September 2007. Archived from the original on 8 December 2008. ^ "Arsenal pair scoop monthly awards". BBC Sport. 19 October 2007. Retrieved 13 September 2018. ^ "Villa claim monthly award double". BBC Sport. 7 December 2007. Retrieved 13 September 2018. ^ "Brown wins manager of month prize". BBC Sport. 10 October 2008. Retrieved 3 October 2009. ^ "Benitez and Lampard scoop awards". BBC Sport. 14 November 2008. Retrieved 13 September 2018. ^ "Hodgson wins manager of month honour". Premier League. 6 November 2009. Archived from the original on 9 November 2009. ^ "Ancelotti scoops award". Premier League. 4 December 2009. Archived from the original on 8 December 2009. ^ "McLeish named Barclays Manager of the Month". Premier League. 8 January 2010. Archived from the original on 12 August 2011. ^ "Moyes named Barclays Manager of the Month". Premier League. 5 February 2010. Archived from the original on 6 June 2011. ^ "Moyes wins Manager of the Month award". Premier League. 9 April 2010. Archived from the original on 6 June 2011. ^ "O'Neill wins manager award". Premier League. 30 April 2010. Archived from the original on 6 June 2011. ^ "Ancelotti wins Barclays Manager of the Month". Premier League. 10 September 2010. Archived from the original on 27 July 2011. ^ "Moyes & Van der Vaart win Premier League awards". BBC Sport. 8 November 2010. Retrieved 13 September 2018. ^ "Wenger & Parker win Premier League awards for February". BBC Sport. 4 March 2011. Retrieved 13 September 2018. ^ "Ancelotti seals successive Barclays awards". Premier League. 6 May 2011. Archived from the original on 29 August 2011. ^ "Ferguson picks up Barclays award". Premier League. 9 September 2011. Archived from the original on 4 March 2016. ^ "Tottenham Hotspur boss Harry Redknapp picks up award". BBC Sport. 14 October 2011. Retrieved 13 September 2018. ^ "Swansea boss Brendan Rodgers & Tottenham's Gareth Bale rewarded". BBC Sport. 4 February 2012. Retrieved 13 September 2018. ^ "Liverpool claim Barclays monthly awards hat-trick". Premier League. 11 April 2014. Archived from the original on 14 April 2014. ^ "Mike Phelan named Barclays Manager of the Month for August". Premier League. 9 September 2016. Retrieved 13 September 2018. ^ "Klopp voted Barclays Manager of the Month". Premier League. 14 October 2016. Retrieved 13 September 2018. ^ "Conte named Barclays Manager of the Month". Premier League. 18 November 2016. Retrieved 13 September 2018. ^ "Conte voted Barclays Manager of the Month". Premier League. 9 December 2016. Retrieved 13 September 2018. ^ "Conte makes history as Barclays Manager of the Month". Premier League. 13 January 2017. Retrieved 13 September 2018. ^ "Clement named Barclays Manager of the Month". Premier League. 10 February 2017. Retrieved 13 September 2018. ^ "Guardiola named Barclays Manager of the Month". Premier League. 10 March 2017. Retrieved 13 September 2018. ^ "Howe wins January Barclays Manager of the Month". Premier League. 31 March 2017. Retrieved 13 September 2018. ^ "Pochettino named Barclays Manager of the Month". Premier League. 12 May 2017. Retrieved 13 September 2018. ^ "Wagner named Barclays Manager of the Month for August". Premier League. 8 September 2017. Retrieved 13 September 2018. ^ "Guardiola wins Barclays Manager of the Month for September". Premier League. 13 October 2017. Retrieved 13 September 2018. ^ "Guardiola claims Barclays October 2017 Manager of the Month award". Premier League. 17 November 2017. Retrieved 13 September 2018. ^ "Guardiola wins Barclays Manager of the Month for November 2017". Premier League. 15 December 2017. Retrieved 13 September 2018. ^ "Guardiola wins record fourth Barclays Manager of the Month award with December 2017 prize". Premier League. 12 January 2018. Retrieved 13 September 2018. ^ "Howe claims Barclays manager award". Premier League. 16 February 2018. Retrieved 16 February 2018. ^ "Hughton claims Barclays Manager of the Month prize". Premier League. 9 March 2018. Retrieved 9 March 2018. ^ "Dyche earns first Barclays Manager of Month award". Premier League. 13 April 2018. Retrieved 13 April 2018. ^ "Moore wins April Barclays Manager of the Month". Premier League. 8 May 2018. Retrieved 8 May 2018. ^ "Gracia named Barclays Manager of Month". Premier League. 7 September 2018. Retrieved 13 September 2018. ^ "Solskjaer wins Barclays Manager of the Month". Premier League. 8 February 2019. Retrieved 8 February 2019. ^ "Guardiola wins Barclays Manager of the Month". Premier League. 8 March 2019. Retrieved 8 March 2019.